Students at Altmar-Parish-Williamstown High School spent several hours working to clean up nearby Riverside Cemetery in Altmar recently in recognition of Earth Day and as part of the community service component of their Social Studies 12 – Economics and Participation in Government class taught by Steve Prusack. Students in the class included: Scarlett White, Dan Smith, Benji Clark, Liberty Tanner, Hannah Flanagan, Britt Kimber, Zach Matthie, Brien Disbro, Alysia Schreyer, Erica Guenthner, Tricia Thorp, Taylor Britton, Britt Sikora, Don Sanderson, Nate Graham and Tyler Weaver. The annual clean up has been a part of community service at the school since shortly after the first Earth Day was held on April 22, 1970. 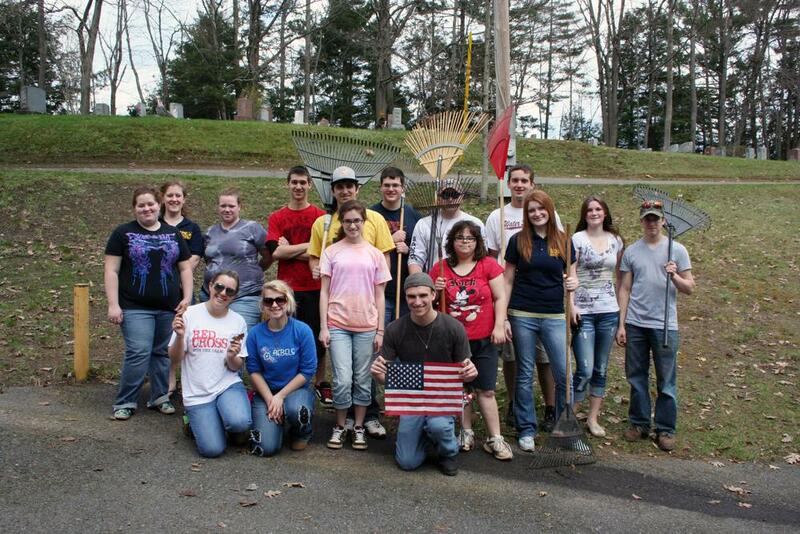 Other area clean up activities are also scheduled with students from other classes at the school.